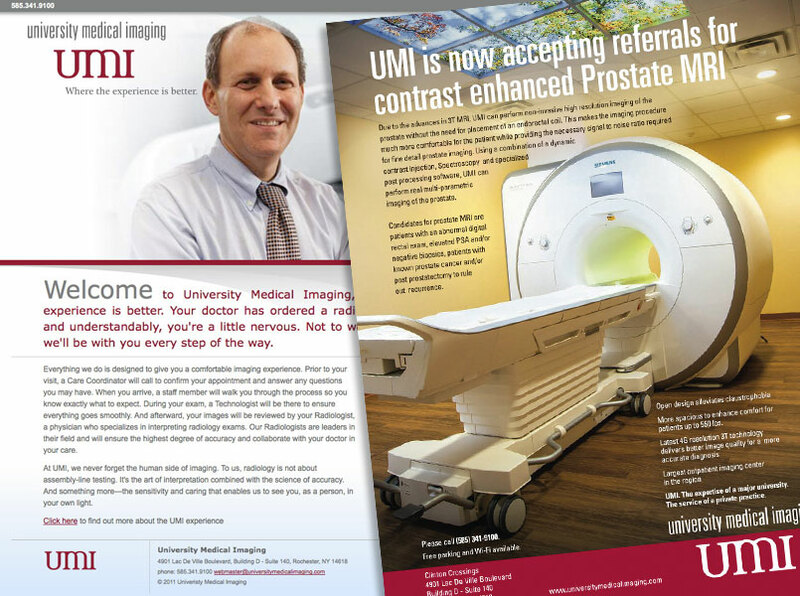 University Medical Imaging is an affiliate of the University of Rochester Medical Center and this is significant for two reasons: (1) it allows for access to the latest research but being privately owned gives it the flexibility to respond to patient needs and (2) it is often confused with University Imaging which is wholly owned by URMC. In addition the market was changing. Our target markets were focusing on safety as well as the patient experience. The current brand identity was all about technology. Technology was still an important factor, just not the only one. UMI was looking for an identity that could embrace all these elements while making them look contemporary and in a leading edge position. 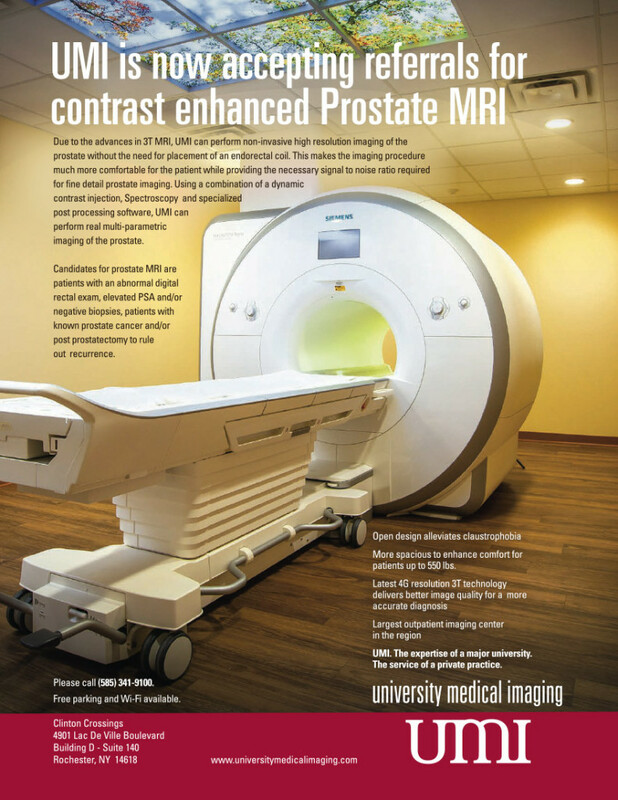 The Marketing Collaborative interviewed UMI radiologists, staff, and those close to patients. A key finding was that referring office staff was making the decision more often than the physician. 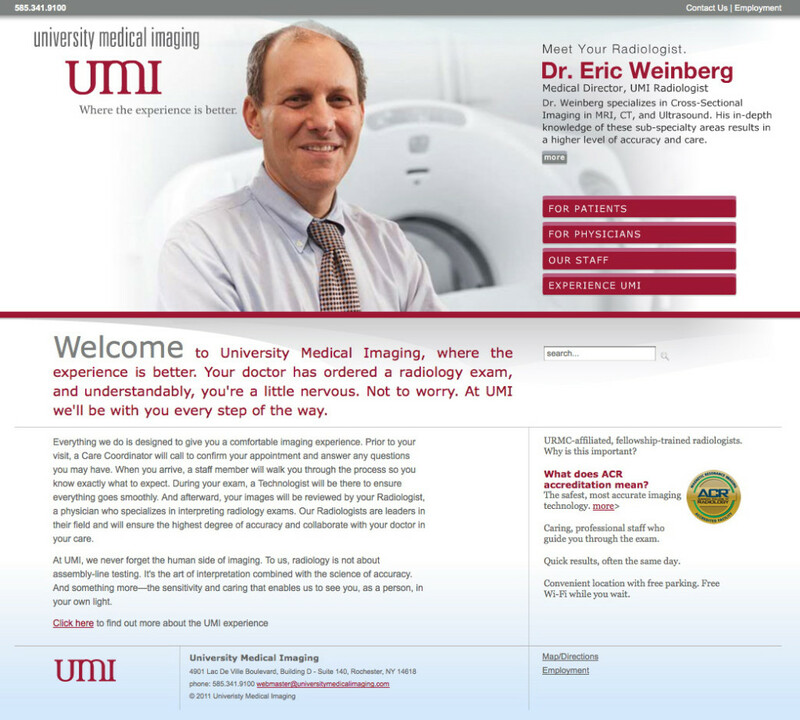 They often chose a radiology site based on convenience for them and the patient. We needed to increase their awareness of the staff available to make their lives easier as well as the importance of the medical expertise available at UMI. We also uncovered a true point of difference for patients — UMI strives to make each patient experience a comfortable one, tailored to their needs. No two patients are alike, nor two exams. They are treated as individuals. With that in mind, we set out to create a marketing initiative that reflected their new value proposition. Create a new Brand Identity including a logo and positioning line that reflected their culture. 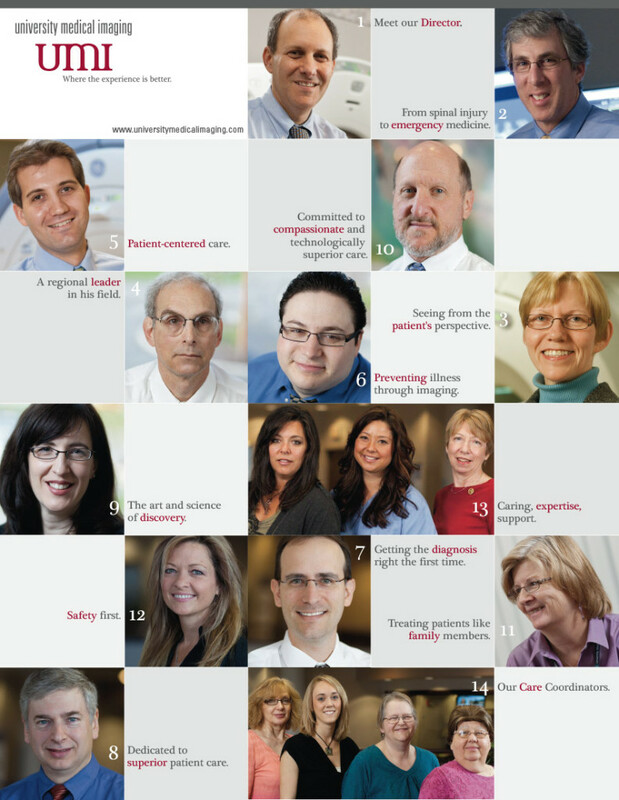 Bringing their brand alive on their website by featuring their staff as well as physicians. 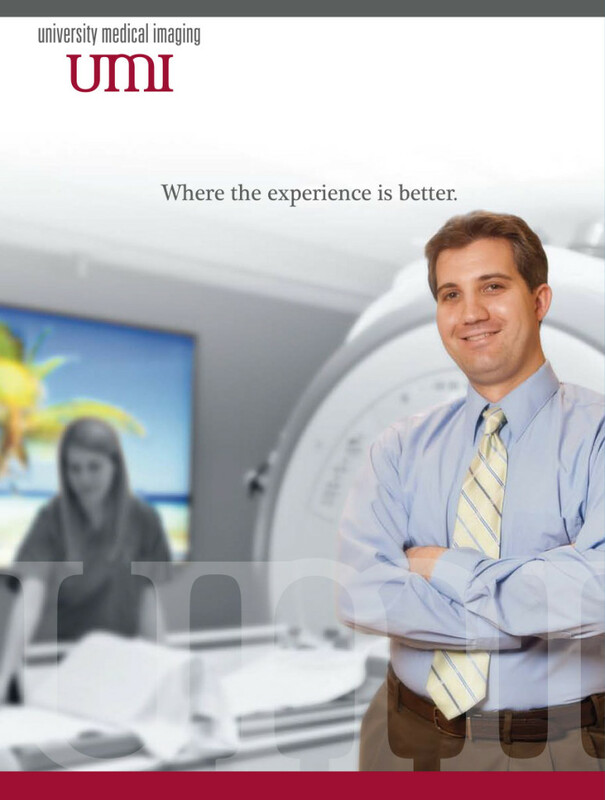 Unlike other patient/doctor visits, radiology patients don’t meet their radiologists, therefore causing much confusion as to who is the radiologist, what they do, and the importance of their expertise. They invested in new photography and bios that balanced their professional expertise while capturing their personalities. And we extend that brand to all marketing materials – letterhead, business cards, signage, brochure, radiologist inserts, bios, and advertising.